Beck Partners are a firm of Chartered Accountants, Registered Tax Agents and Xero Certified Advisors based on the Gold Coast of Queensland. We appreciate that our clients are more than just another business, more than just numbers or tax returns. Our clients are hard working people who are running businesses in an increasingly complex and demanding environment. Beck Partners are big enough to provide the accounting and taxation services that SME business owners require and small enough to provide the level of personal service and attention that SME business owners deserve. Our clear purpose is to help make your life easier. 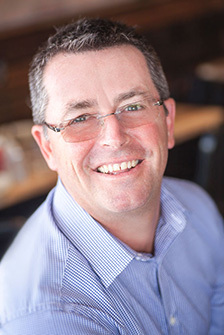 Alan Beck is a Chartered Accountant, Registered Tax Agent and Business Advisor with extensive experience in both the Chartered Accounting Profession and in Commerce having held executive level roles in businesses ranging from small private companies to larger corporate groups and ASX Listed companies. More than 25 years of hands-on business experience across a wide range of industries has provided Alan with valuable accounting, taxation and broad commercial skills that can be applied to the benefit of any business and its owners. As the Principal of Beck Partners, Alan is focussed on making life easier for business owners and guiding them to financial success. He has the high level technical skills and a wealth of knowledge and experience to assist clients to maximise their wealth whilst also minimising risk. 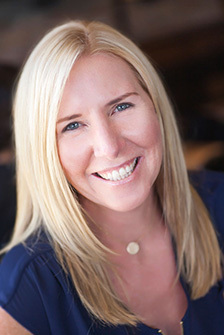 Jodie Beck is a Xero Certified Advisor and the Manager of Beck Partners Bookkeeping, Payroll, Xero Training and Administration departments. With previous experience at manager level in retail banking and as a Process Reengineering Analyst with Citibank, Jodie is well placed to assist small business owners to meet their financial and administrative business needs. Jodie is our hands-on Xero expert. She provides full service Xero bookkeeping and payroll service to a select group of clients and assists a number of others on a periodic basis to help them keep on track so their records are in good shape to promptly prepare BAS and Tax returns when required. Choosing an accountant is like choosing a business partner. The right one will become a valuable and trusted resource that you can rely on for sound advice and guidance for years to come. Beck Partners are the Gold Coast accountants that are large enough to provide you with the advice you need and small enough to provide you with the personal service you deserve. We are located in Bundall on the Gold Coast and we work with clients located all around Australia. We are happy to communicate with you in person, by phone, email, Skype or Couriers and Post – Whatever suits you best. Beck Partners are Chartered Accountants and Registered Tax Agents. That means our knowledge; professional competence and good character have been independently verified. We are also properly insured and subject to strict ethical standards to protect you. Most accountants can process all your transactions from bank statements and a box of receipts but that is generally not the best approach. 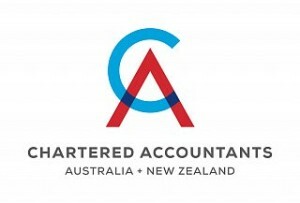 We recommend that you avoid paying accountant prices for bookkeeping work. Many of our clients achieve cost savings by using our internal bookkeeping service because the bookkeeper works side by side with the accountant (but at a lower cost) and everyone is clear on what is required. We are totally flexible about who does what – let’s discuss what you need and work out the best solution for you. You’ll need someone with experience preparing tax returns and financial statements for a business similar to yours. You will also want someone who uses modern technology and can help you with cloud accounting products like Xero. Our clients range from one person micro business to multi entity groups. We will likely have worked on a business similar to yours in the past. Also, we are Xero certified advisers so that’s covered too. Some accountants are little more than “form fillers”. If you are looking for the cheapest accountant, a “form filler” is what you will get and that’s not us. We will proactively advise you about your finances, your business structure, asset protection and tax saving opportunities. We will ensure you are aware of the options available to you and what you must do to get the maximum tax benefit without straying outside the law. We will also remind you when lodgements are due – no more surprise late fees or non-lodgement penalties because you didn’t know what was required. Contact Alan Beck today for an Obligation Free discussion about how Beck Partners – Chartered Accountants can help you.